Inspired by The Answers’ signature shooting sleeve. Adding to its I3 Legacy collection, Reebok put together a brand new model for iconic Philadelphia 76ixers point guard/shooting guard, Allen Iverson. Dubbed the Answer 4.5, the hybrid model is a rework of AI’s Answer 4 signature shoe originally released in 2000. 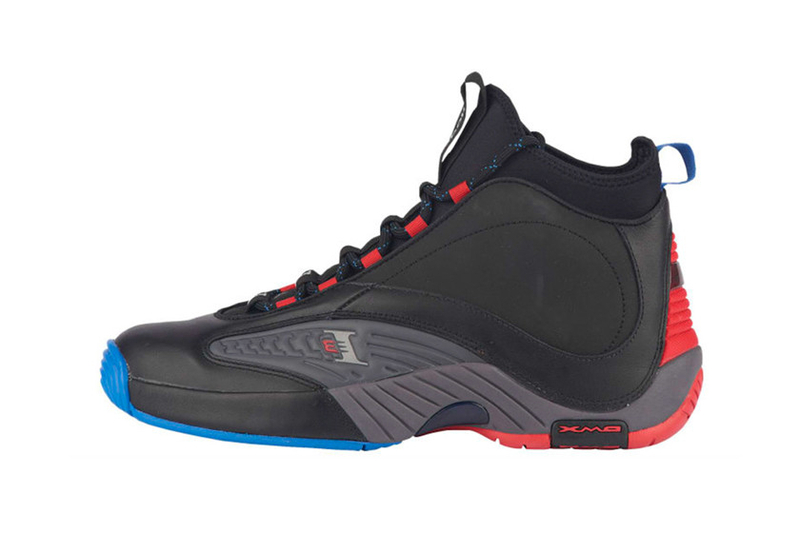 Debuting in “Primal Red/Vital Blue” and “Primal Red/Black” colorways, the court model is characterized by the 2000’s defining dynamic upper sculpting and a neoprene bootie liner inspired by the shooting sleeve Iverson wore throughout his career. Remaining true to the I3 Legacy collection, classic Reebok logos and I3 motifs found on the midfoot and heel area of the model serve as the branding elements of the shoe. Check out the two debut colorways for Reebok’s new Allen Iverson signature sneaker above and look for the Answer 4.5 to release sometime this August. In case you missed it, Reebok continues its retro releases with the DMX 1200 Low. With original vocals being too low. An ode to the ethos of the label. A re-release of the “Lotto” Air Jordan 3?